Are you ready? This week it's time to get down LOW. I'm talking laying on the floor low. Of all the angles we can take when photographing a scene, I think that looking up is the one that's often left to the wayside. It's so much easier to just shoot a subject straight on or to even climb a stool and look down. But looking up? That often takes a lot of manoeuvring and thought (and sometimes it even means getting dirty!). But, by showing the unexpected, we're able to make surprising art. It gives your viewer insight into a situation that they wouldn't have even seen with their own eyes. Hopefully it makes your viewer pause and savour the moment. So, this week I challenge you to get WAY DOWN LOW and to look up. 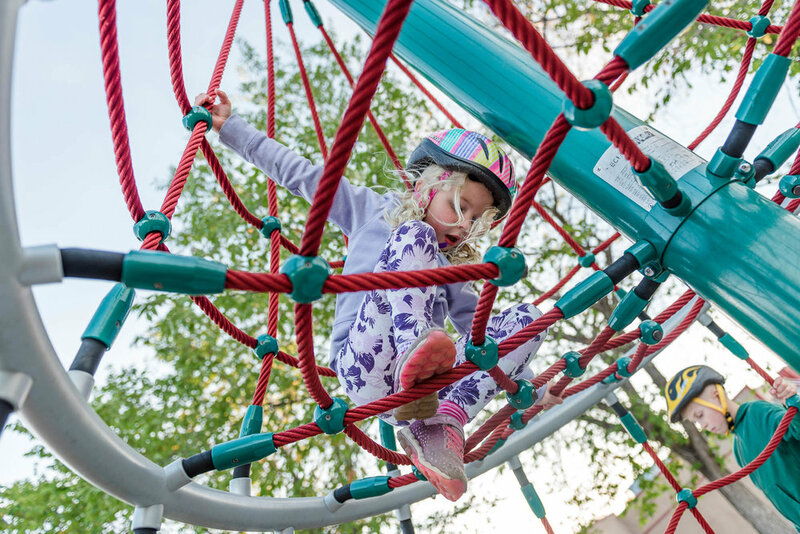 Often times this will mean that you're laying on the floor, but you can also utilize high balconies, stairwells, windows, and playground equipment. If you're shooting indoors and you're close to your subject (i.e. you're laying down and your kiddo is standing above you), you'll probably want to make sure you have one of your wider lenses on. If you're shooting outside, you're most likely going to be shooting into the sky, so choosing your exposure is going to be important. Are you going to exposes for the sky? Your subject? In-between? Spot metering will be your friend here. It's really easy to lose your balance when you're looking for a viewfinder and looking straight up (I know this from experience! ), so be cautious of standing on anything or balancing - it's much easier to sit, lay down or crouch. As always, have fun with this one! Remember that not every image has to be perfect. These challenges are more about expanding the way you think about photography and trying new things, rather than making portfolio worthy images. We'd love to see what you come up with! Tag us and use #unscriptedmentoring when posting on IG so we can find you.